Have you ever wondered what the Beatles, Animals, Beach Boys or the Monkees would sound like in these modern days? These are bands that took the teachings of rock 'n' roll, and brought it into a pop light, changing the face of music forever. So my comparison to these names is not without strength. These are the bands that shook the world! 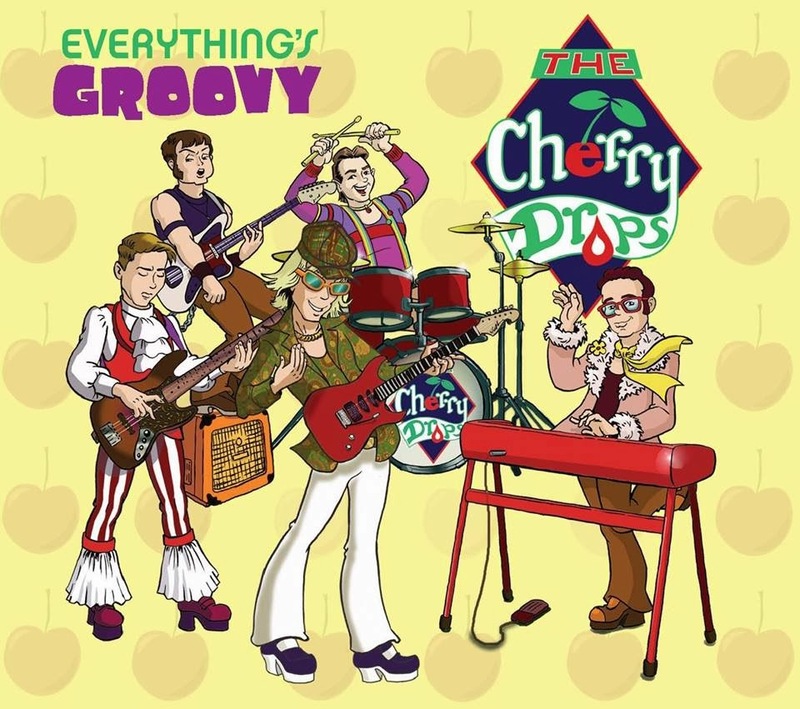 The Cherry Drops are the embodiment of this "Retro-Pop" sound. I have never heard a band with such a reach over musical generations whilst remaining in genre. Even the vocabulary used, matches the generation that each track is designated too.They are ridiculously fun to listen to as well! Not only is there irony in their adjustment of modern mentalities to a retro sound but they're all beautifully talented and trained to their craft. It's all so well done! The songs are annoyingly catchy, and is amplified by the humour of the genre. The whole experience is a laugh out loud nod-along. I am addicted to the thought of seeing them live. The guys have won! At the first bar they had me foot tapping, the chorus had me memorizing, as did the gaps between songs. I want to feel and see the experience live. As I listen to bands for a job! Usually, the last thing I want to do is step out in my free time to hear another band! But there you go... Musically each member slides into place with out a single sign of dis-chord and the range/use and dare I say partnership of drums, keys, bass, guitar, vocals and backing vocals is truly magnificent. Each part brings a new life to the words they lay the foundations for and carry the space between lyrics with ease. This is one of the better new bands I've heard in a long, long time. I stumbled across their song "outta sight" quite by accident on the radio the other day and thought "I have to hear more of this band!" Bands only affect me that way once in a very rare while. Great Music. Picks me up.